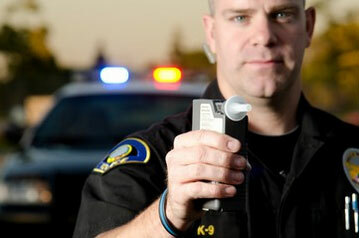 One of the most common criminal offenses the Law Office of Natasha Wrae handles is the DUI. More often than not, the people that call Natasha have never been in trouble before. They are panic-stricken and believe their lives are over. Natasha prides herself in taking the stress and worry out of your head so you can keep on with life while she competently, aggressively and personally sees your case through to the end. She has handled hundreds of DUIs over the 15 years she has been practicing criminal defense. Her graduated fee schedule lets you make educated decisions about whether to continue to invest in your case or cut your loses. Her years of evaluating and litigating DUI cases allow you to invest wisely and rest assured that you are not being taken advantage of. She meets with every client personally and determines each clients’ goals and needs. Your goals become her goals and she will move mountains to attain them. To be guilty of a “Simple” DUI the State has to prove beyond a reasonable doubt that a person was driving or in actual physical control of a vehicle in AZ while under the influence of a drug or alcohol such that the person was impaired to the slightest degree. To be guilty of having an Extreme DUI the State has to prove beyond a reasonable doubt that a person was driving or in actual physical control of a vehicle in AZ and that the person has an alcohol concentration of 0.15 or more but less than 0.20 within two hours of driving or being in actual physical control of the vehicle. To be guilty of having a “Super” Extreme DUI the State has to prove beyond a reasonable doubt that a person was driving or in actual physical control of a vehicle in AZ and that the person has an alcohol concentration of 0.20 or more within two hours of driving or being in actual physical control of the vehicle. A felony or “Aggravated” DUI is charged when certain circumstances are also present during the commission of a misdemeanor DUI. Aggravated DUI can be charged when you commit a misdemeanor DUI and your driver’s license is suspended, canceled, revoked, refused or while there is a restriction on your license as a result of an earlier DUI (this is a class 4 felony offense). If you commit a third or subsequent DUI within a period of 84 months you can be charged with a felony DUI (this is a class 4 felony offense). You are DUI and there is a person under 15 years old in the vehicle with you, a class 6 felony, Aggravated DUI and possibly felony, Endangerment charges for each child will be brought against you. Lastly, you can be charged with a felony DUI if you commit a misdemeanor DUI and you have been ordered to have an Ignition Interlock Device in your car. A “Baby” DUI can be charged against anyone under 21 years old who is driving and has any spirituous liquor in their body. Mere verbal acknowledgment that he or she had been drinking alcohol is enough to convict. The main difference between the “Baby” DUI and the adult misdemeanor DUIs listed above is the effect on the minor’s driver’s license. Aside from all of the other penalties listed, a minor under 18 years of age who is convicted of any DUI will have their license immediately suspended for 2 years upon notice of the conviction. A person who is 18, 19 or 20 years old and who is convicted of the “Baby” DUI will have their license suspended for 2 years (the court can order that the minor have a restricted license to allow the minor to drive between home, school and place of employment provided an Ignition Interlock Device is placed on the car). any explanation of the circumstances shown by the evidence. *The information contained here is abbreviated and is not to be construed as a comprehensive breakdown of the DUI laws. This page is merely a guide to the types of offenses in AZ and possible punishment. The Law Office of Natasha Wrae makes no promises express or implied that any particular DUI will have the same results as outlined here. Other factors that may affect the outcome of a case include prior DUIs, the age of the driver, whether or not there was an accident, etc. For a full evaluation of your case and the factors that may affect it, contact the Law Office of Natasha Wrae at 520-624-4224 to schedule an appointment to discuss your case with Natasha. Natasha has won her last three DUI jury trials dealing with actual physical control. Her last DUI trial on May 9th she strategically reduced evidence to avoid confusing the jury. Completing the trial in just a few hours, the jury returned a not guilty verdict in 10 minutes beating Natasha’s previous Not Guilty verdict of 20 minutes on a child abuse case. If you have been charged with a DUI Tucson AZ and you were asleep in your car or not driving when the officer made contact with you, Natasha is the attorney you want defending your charges. She has an uncanny ability to connect with the jury and have them appreciate that you were trying to be safe by using your car as a temporary shelter to sleep off the drinks you had consumed. These types of cases are among Natasha’s favorites. Her track record of success proves it. Copyright © 2017 DefendingYouTucson/Natasha Wrae Law Offices. All Rights Reserved.